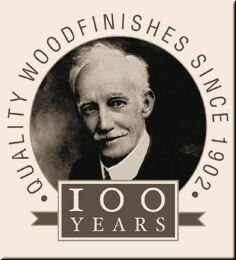 In 1902, Frank Thomas Morrell began a small business in Ravenscroft Street, Hackney, making and selling French polishes, brushes and sundries to London's East End furniture making industries. 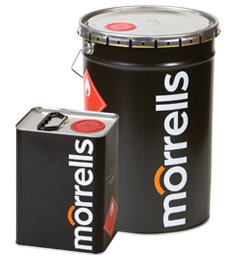 Today, Morrells is a multi-million pound, technologically advanced international business, with a reputation for innovation, quality and service. The key to Frank's success was that he understood what his customers needed. He understood because he took the trouble to ask them about their trade and he developed lasting business relationships with all his customers. Displaying 1-15 of 15 Found. Pre catalysed clear lacquer in a handy aerosol. Useful for on site work or small touch up jobs. Fast drying high build 2-pack lacquer, with excellent heat and water resistance. 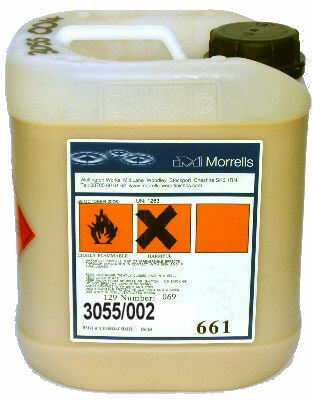 Hydrocarbon-free thinners for use with the 440 Acid Catalysed range of lacquers. A fast drying easy to sand, single pack primer with good covering power. 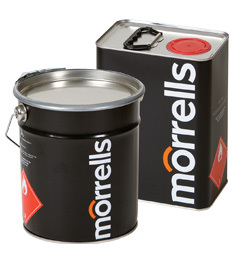 Formulated for use on MDF and suitable for all wooden substrates. 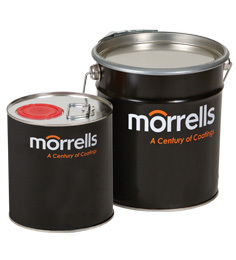 A high build sanding basecoat used in conjuction with the 280 range of pre-catalysed lacquers. 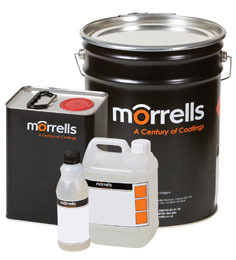 Various cellulose thinners & gun cleaners for use with the 280 Pre-Catalysed range of lacquers. A fast curing, easy to use 2-pack polyurethane lacquer with outstanding resistance to abrasion, heat, chemical attack and water ingress. A high solids, easy sand pigmented primer with exceptional covering power, designed for use on MDF and all wooden substrates. A high build 32% solids fast drying Precat Sealer specifically formulated for use on MDF substrates. Water based plaster stopping for repairing nail holes, small cracks etc. Can also be blended with water into a paste and used as a grain filler. 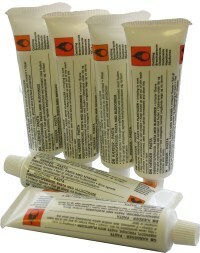 Styrene based two component filler for repairing large areas of damage. Price includes tube of hardener. Separate tube of hardening catalyst for use with the two pack filler. Alcohol spirit based wood stains for use with lacquers, or alone as penetrating wood dyes. Excellent colour depth and fast drying time. Displaying 1-15 of 15 Matches Found.